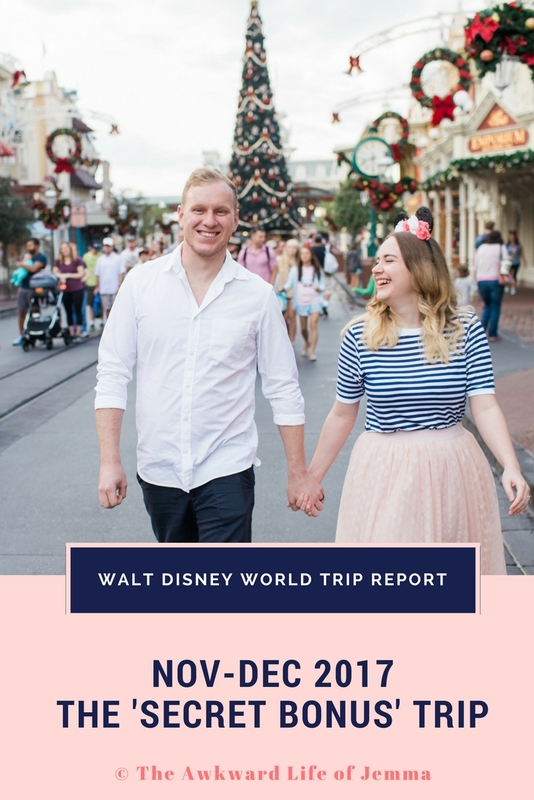 It's day ten of Twelve days of Blogmas! We are nearly at the end and Christmas is only a few days away. I feel a bit in limbo actually as I've already bought and wrapped all the presents and I have nothing planned until Christmas Eve except getting ahead of the Christmas dinner by cooking and freezing some of the side dishes. 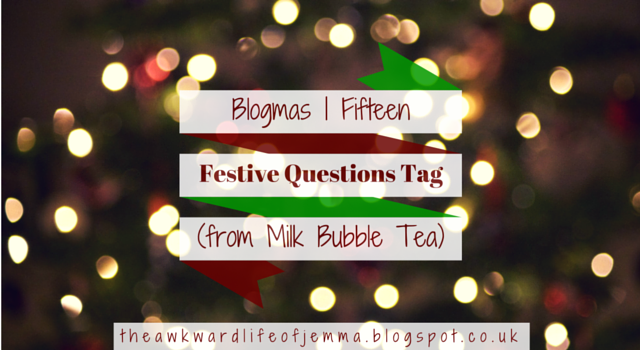 Today I thought I'd have a go at the Fifteen Festive Questions Tag created by Becky over at Milk Bubble Tea. 1.Favourite Christmas smell / scent ? I love the smell of peppermint and gingerbread. 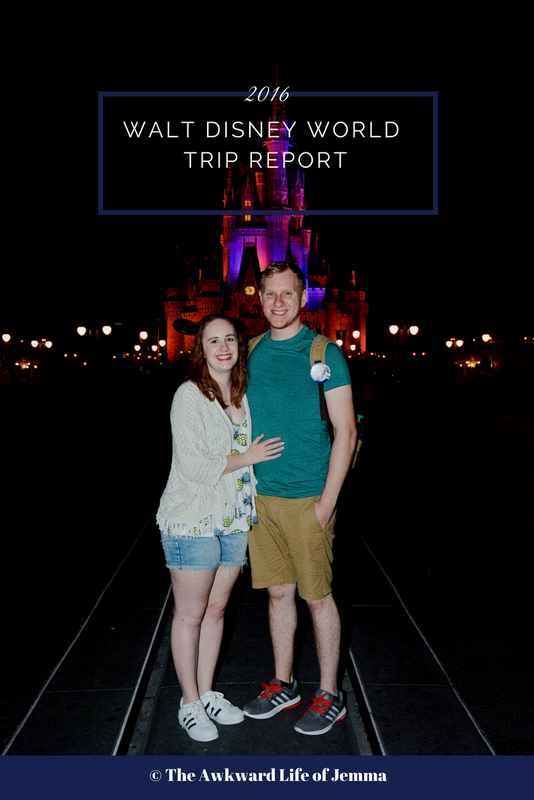 The Candy Cane Lane Yankee Candle is probably my absolute favourite and it always reminds me of being in Walt Disney World and eating peppermint bark! 2. Gingerbread or Candy canes? Oh I kind of touched on this above! But my favourite thing to eat would be gingerbread although I love the use candy canes for other festive treats. I tend to blitz the candy canes in a food processor and use them to top hot chocolates etc. 3. Is your tree real or fake? Our tree is fake as we really don't have enough room to get a real one and as they tend to drop pine needles it would create a lot more mess! 4. Quality street or Roses? I'm not the biggest fan of either so I don't tend to buy them but if I'm at someone else's house I will tend to eat a few and I prefer Quality Street as I like the green triangles and orange crunchy ones. 5. Do you dress up or down on December 25th? I never go all out on Christmas day but I do like to have my hair and makeup done and put on a pretty dress. Presents have to opened in pyjamas first though! 6. Do you have any specific festive traditions? We have to have stockings (as mentioned in my last post!) but other than that nothing comes to mind. I'm sure you only realise what your traditions are when you think about spending Christmas with someone else (like your other half's family) and realise they do things completely different! 7. Any embarrassing Christmas moments that come to mind? Yes actually! One year my paper hat out of the cracker went up in flames as I caught it on one of the candles in the middle of the table! Luckily it wasn't on my head at the time! 8. Do you wake up early or late on Christmas morning? It's probably the only day of the year that I wake up early! I've always had trouble sleeping on Christmas Eve because I get so excited and I was always told to go back to bed whenever I got up too early! 9. If you had a stocking where did you hang them? When we were little we hung our stockings at the end of our beds but when we were older and had moved to a house with a real fireplace we'd leave them downstairs. Now that I've moved out Harry and I hang them at the end of our bed again! I have to watch Love Actually, Elf and The Santa Clause (which is really underrated and a great one to explain all the questions you've ever had about Santa!). 11. Was there a present you always asked for as a child but never received? Not that I can think of! I'm sure there was but I will have to check with my mum on that one! 12. What was the best gift you received as a child? Probably my Gameboy Colour (in purple) I loved that thing so much. Pokemon Red was my first and favourite game but I could spend hours playing it. 13. What is on top of your Christmas tree? At the moment it is a red sparkly star and I think we always had some form of star when I was little. We used to have a really tacky silver tinsel star with multi coloured fairy lights that looked like little flowers sticking out of it! It has to be mince pies! My love for them seems to grow each year so what was once a dessert on Christmas Day has become my go-to snack throughout December. I also love Wensleydale and Cranberry cheese on biscuits and tangy orange matchmakers! Surely it has to be opening presents?! Anyone who says otherwise is lying! But aside from that I love playing games with my family on Christmas Eve, Christmas Day and Boxing Day. That's about it for today's post! Make sure to pop over to Milk Bubble Tea to check out Becky's answers and have a go yourself!